It’s I Spy time again! If you loved my rainbow summer I Spy game, I can’t wait for you to see all things fall! Full of vintage knick knacks, Bakelite, kitsch and fall colors. Every month PMQ For Two, Club Crafted, A Kailo Chic Life, Delineate Your Dwelling and I create a fun seasonal flat lay of I Spy. 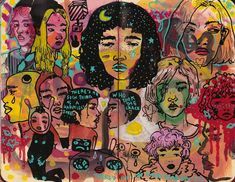 Who did not love playing with I Spy books when they were kids? Let’s continue that fun into adulthood shall we! 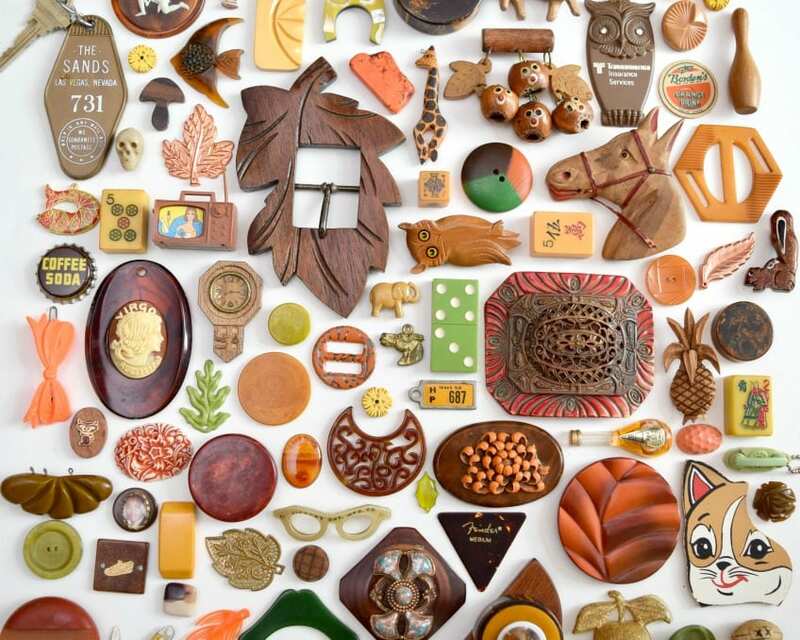 My fall I Spy game is full of warm oranges and browns. Several of these bits and pieces can be found in The Huntress Gatherer Etsy Store. Here is how you play. 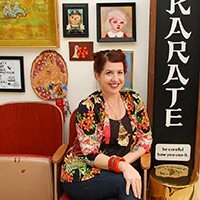 Each blogger has a list of items to spy. Here are mine! 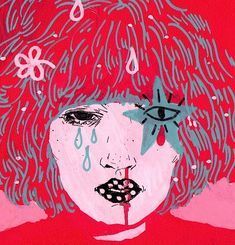 Leave me a comment and let me know if you found everything. Somewhere in the image below you will find 1 picture of Lake Tahoe. 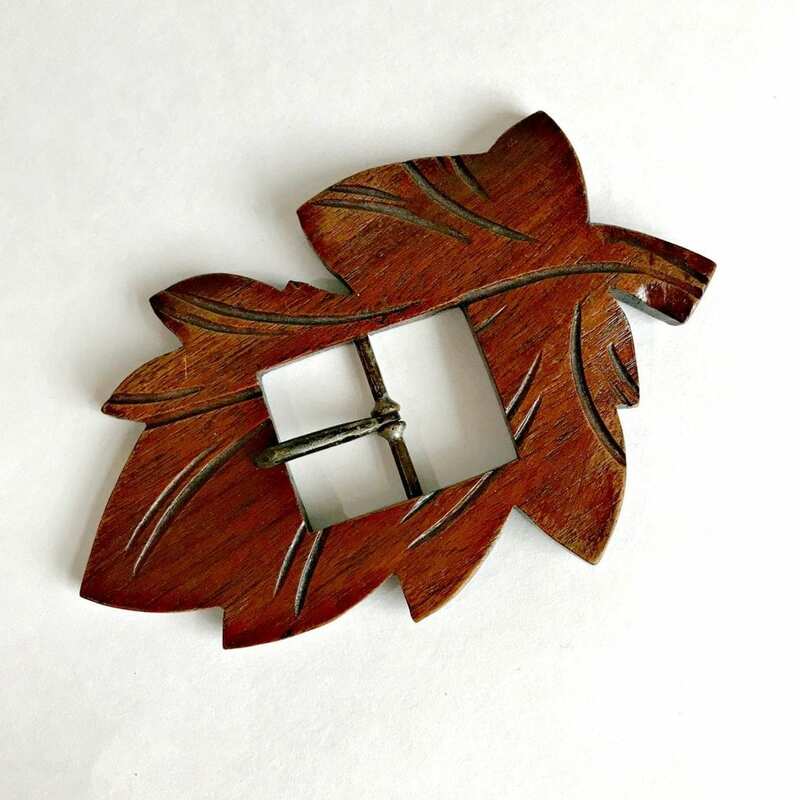 Also, keep an eye out for this Large Antique Wood Leaf Belt Buckle. 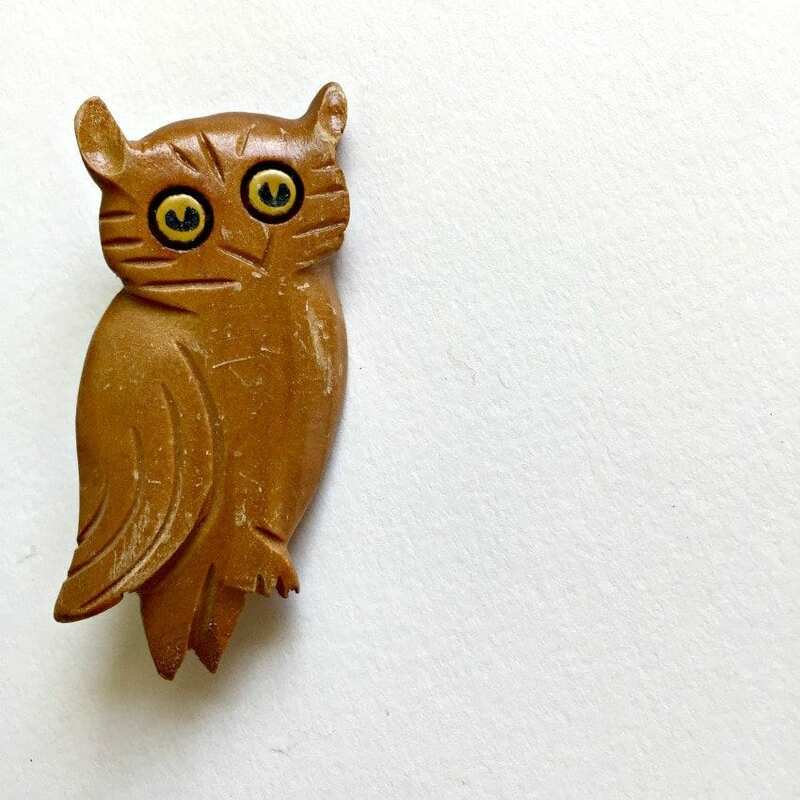 Not one, but two vintage owls can be find in the I Spy image including this Vintage Carved Wooden Owl Pin. 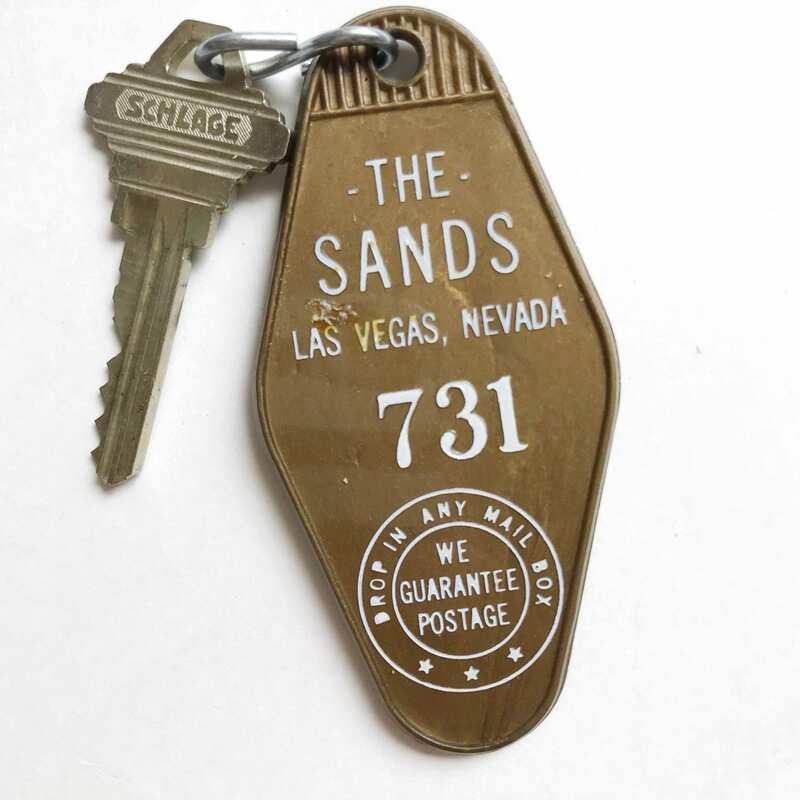 In the image you can find 3 of the number 3 including this Vintage Las Vegas Sands Key Chain. Feeling lucky? There are two horses in the I Spy image (bonus points for also finding the two cats and two fish). 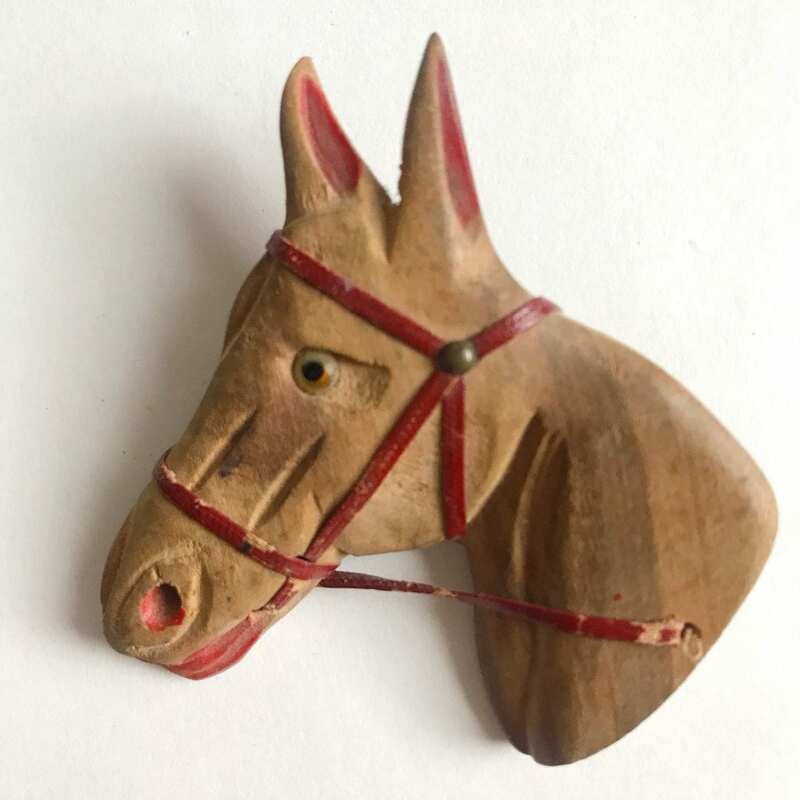 This Vintage Carved Wood Horse Pin is a recent addition to my Etsy store. 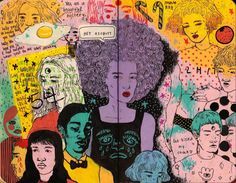 There are a few wearables in the collage – buttons, belt buckles, eye glasses and barrettes. The one you are looking for is a tennis shoe. 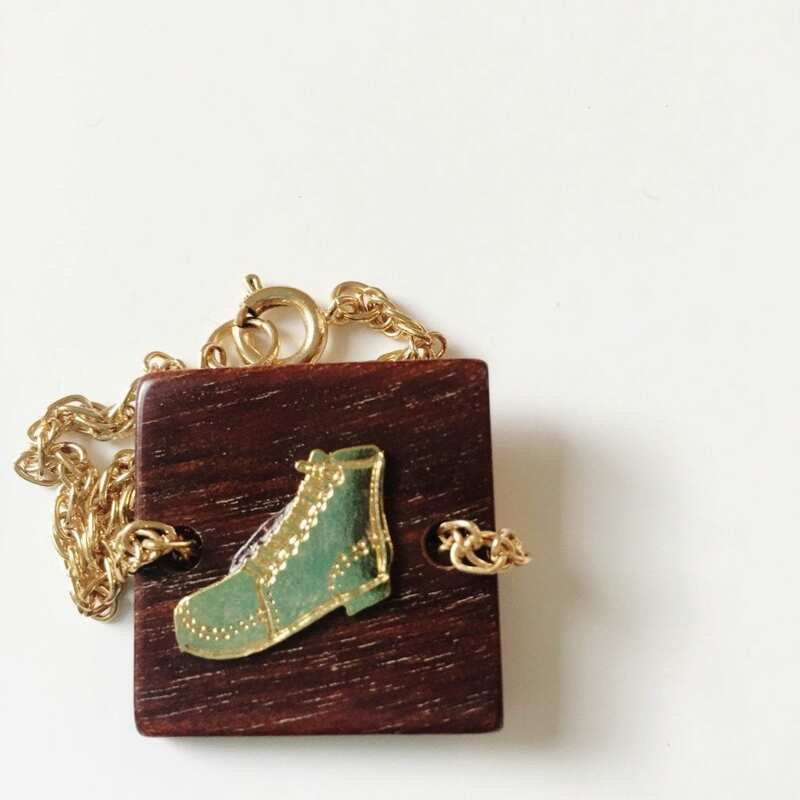 Matches this Vintage Combat Boot Bracelet perfectly! 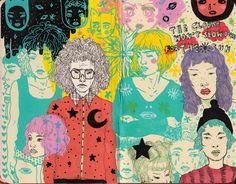 Did you find everything? Not too hard I hope! Leave me a comment and let me know then go try your hand at all the other I Spy players. Posted September 26, 2018 & filed under Articles, Holidays, Thanksgiving.